We are living in a divided world. Christians need to understand what is happening, why it is happening, where it will lead, and how to live for Christ today. 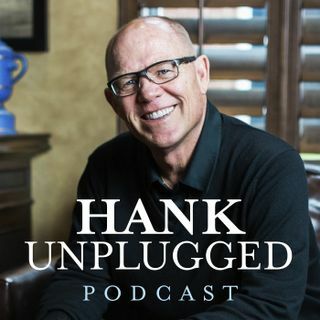 Hank is joined by John S. Dickerson, a prize-winning journalist, pastor, and the author of Hope of Nations, for a conversation aiming to inform, inspire, and instruct Christians to stand strong in a post-truth, post-Christian world. Topics discussed include: how attending seminary as a hobby led Dickerson, an award-winning investigative ... See More journalist, to become a pastor (3:30); the post-truth shift from facts to feelings (7:10); the historic definition of racism and the post-truth reality of racism (13:30); millennial Americans' preference for socialism (17:30); the state of journalism today and the difficulties of being a Christian journalist (21:05); Dickerson believes the window of global peace is closing, but that in Christ, we can be a sign of hope to the nations (23:45); the growing problem of apathy in society, Christians included (26:40); Dickerson’s nine manifestos that Christians can embrace in a post-truth world (31:15); the need for Christians to equip our youth with Christian truth in the face of The Great Evangelical Recession (34:10); equipping Christians with biblical understanding and truth to become reproducing disciple makers for the church and change agents in the culture (38:15); I Am Strong: Finding God’s Peace and Strength in Life’s Darkest Moments (41:55); post-truth being chosen as the 2016 Oxford dictionary word of the year and the way that this paradigm shift is changing the course of Western civilization (52:15); the wealth and freedom that young Americans have inherited and the foundational principles they are rejecting (56:35); the Christian foundations of our modern universities (59:50); examining the differences between socialism and capitalism (1:01:55); warring ideologies, the gravitational center of the globe shifting to the East, and the abolition of Western civilization (1:07:30); examining the factors behind The Great Evangelical Recession, with so many young people leaving Christianity (1:15:25); the importance of Christian unity around the essentials of the faith and the dangers of needlessly dividing the body of Christ (1:18:15); the drying up of donor dollars, as the church is reaching the lowest levels of giving in generations (1:24:50).